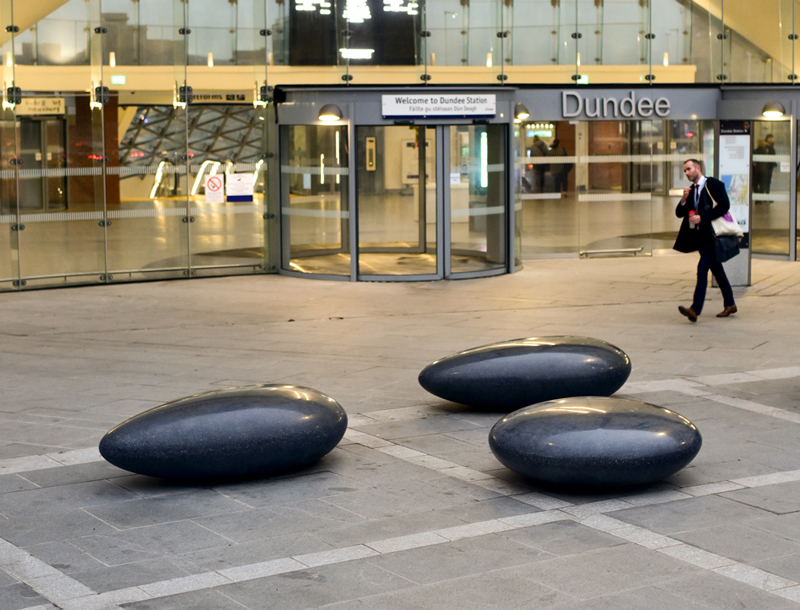 The Waterfront is divided into five zones: Riverside, Seabraes, The Central Waterfront, City Quay and Dundee Port. 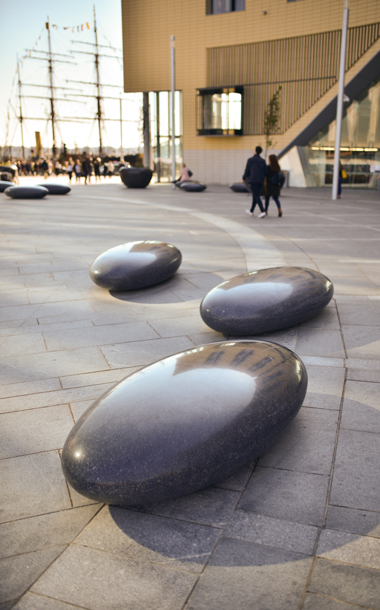 The Central Waterfront Zone is home to the new V&A Museum designed by architect Kengo Kuma, a new Sleeperz Hotel, and the Railway Station. 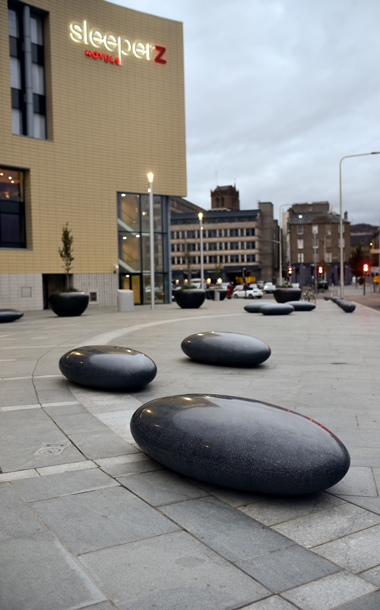 Barrell Sculpture are very pleased to have played a small part in making the Dundee Waterfront look so fabulous. 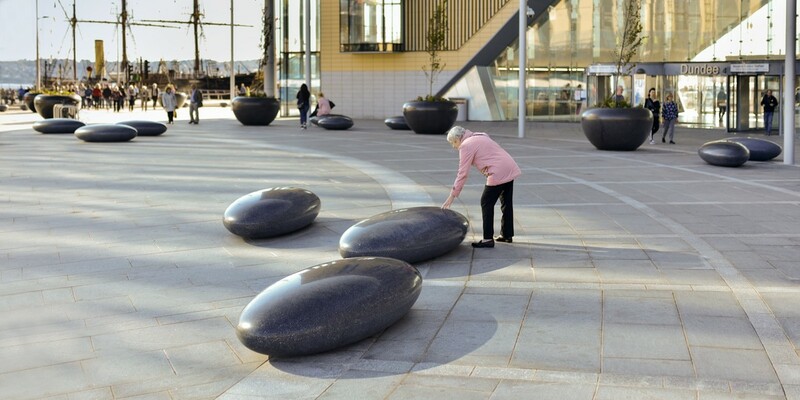 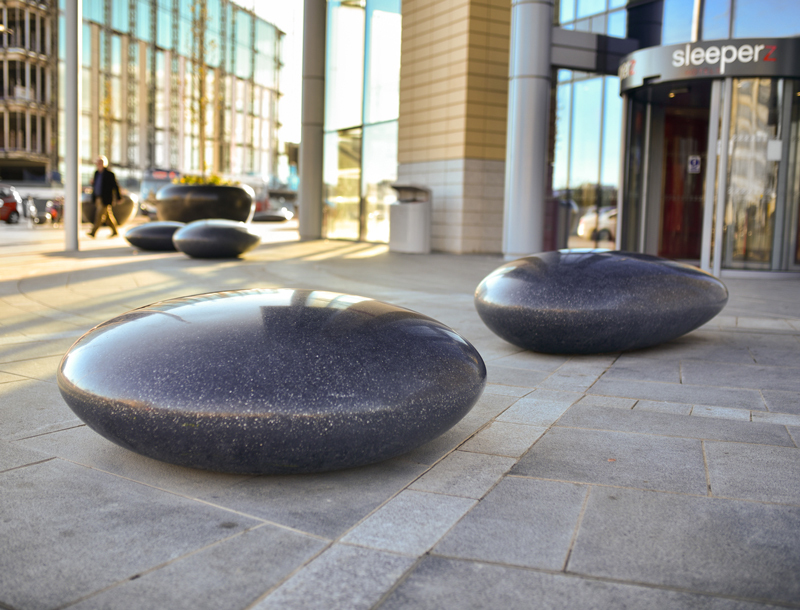 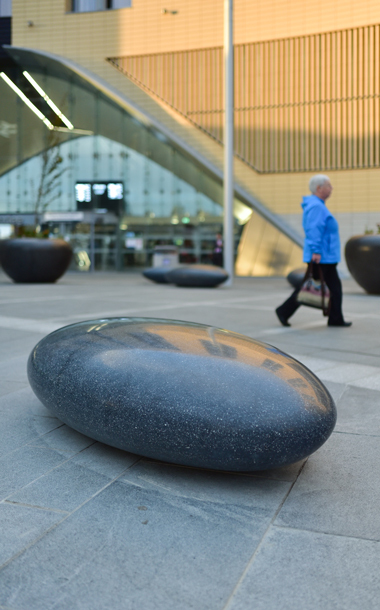 Earlier this year we sent 19 black Pendeen Pebble Seats up to Dundee, and are very pleased to be part of this stunning regeneration project, and in such good company.